Creationism is being fitted for new clothes today by a number of very articulate writers and speakers, and it is hoped by many that this will help it gain acceptance in the elite company of academics who have heretofore opposed it. One leader of the opposition to any form of creationism, Dr. Eugenie C. Scott, Executive Director of the National Center for Science Education, calls this development neocreationism. Scott notes that the arguments for neocreationism are the same arguments that have been used by traditional creationists for many years. The new clothing is not so much what has been added, but what has been taken off. This new creationism is really not very new, except perhaps for the terminology. Progressive creationists, as well as traditional creationists, have been documenting intelligent design (that is, the magnificently organized complexity of every living creature) and "abrupt appearance" (that is, the complete absence of any true transitional forms in the fossil record) for well over 150 years. Now, this approach is not really new, either. During the past quarter century, ICR scientists have participated in well over 300 creation/evolution debates with university professors on college and university campuses, and each debate is intentionally framed to deal only with the scientific evidences, never with "the details of Genesis." Other creation lectures have been given on hundreds of campuses and scientific meetings with the same format, dealing only with science. In fact, ICR has also published a number of books4 that present the case for creation strictly from a scientific perspective with no reference to religion. 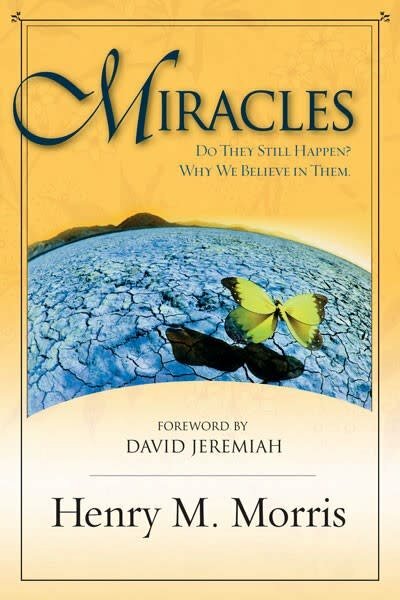 These debates and books have been successful in winning many individual scientists and others to belief in creation and frequently as a tool in winning them eventually to saving faith in Christ. But what it will not do is displace evolutionism as the reigning paradigm in the intellectual community. 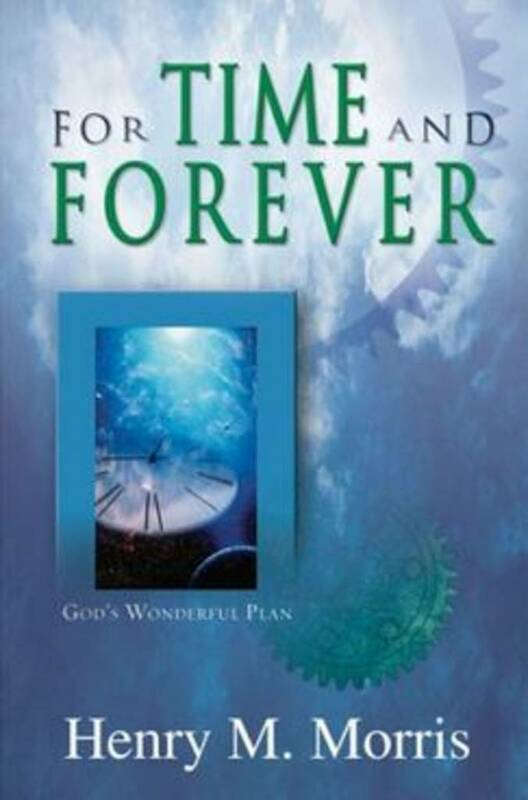 One form or another of evolutionism, either atheistic or pantheistic, has been the reigning paradigm in every age since the beginning of human history (with one exception), and the prophetic Scriptures indicate that it will still be so when the Lord Jesus Christ returns at the end of this age to set up His own eternal kingdom.5 That one exception consists of those small communities in many different nations and times who have believed in a personal Creator God who created all things, and who has revealed His purposes in creation and redemption through His written word, the Holy Scriptures. In more modern times, William Paley popularized the design argument with his great book, Natural Theology, first published in 1802, profoundly influencing the English speaking world of his day—even including Charles Darwin! The book began with a detailed description of the "irreducible complexity" of a functioning watch, noting that even the most rabid skeptic would acknowledge that the watch—or at least its prototype—must have been designed and made by a skilled watchmaker. Just so, he argued persuasively, the much more complex universe required a universe-maker. These themes of intelligent design are compellingly developed at great length in Paley's 402-page book. Darwin, however, wanted to find a way to escape Paley's conclusion, not for scientific reasons, but because he refused to accept a God who would condemn unbelievers like his father to hell.6 Many modern Darwinians now follow him in maintaining that what appear to be evidences of design can also be explained by natural selection. Richard Dawkins, Professor of Zoology at Oxford University, is the most articulate present-day advocate of neo-Darwinism, which maintains that evolution proceeds gradually through the preservation of small beneficial mutations by natural selection. Dawkins, a doctrinaire atheist, has published an influential book called The Blind Watchmaker. Dawkins comes down hard on "fundamentalist creationists" but even harder on modern anti-Darwinists who try to insert God somehow into the "science" of origins. Dawkins is gloating over the fact that the Pope is an evolutionist,8 but he is also impatient with the Pope's insistence that the human soul has been "created." Everything, according to Dawkins and the modern neo-Darwinians, is attributable solely to the action of time and chance on matter, so that what appears to be evidence of design is really evidence of the creative power of random mutation and natural selection. Although Dawkins calls Behe a creationist, Behe himself claims to be an anti-Darwinian evolutionist. Other evolutionists recognize that there is, indeed, evidence of intelligent design in the world, but they take it as evidence of Gaia (the Greek Earth goddess, or Mother Nature) or of some "cosmic consciousness." This New Age movement is essentially a return to ancient evolutionary pantheism, a complex of religions now growing with amazing rapidity all over the world. Thus Darwinians interpret the evidence of design in nature as natural selection, punctuationists interpret it as order through the chaos of dissipative structures, and New Age evolutionists interpret it as the intelligence of Mother Earth. King David, by divine inspiration, had a comment on the attitude of such atheists: "The fool hath said in his heart, There is no God" (Psalm 14:1; also Psalm 53:1). Similarly, in Romans 1:21,22, the apostle Paul, discussing such people, said: "When they knew God, they glorified Him not as God, neither were thankful; but became vain in their imaginations, and their foolish heart was darkened. Professing themselves to be wise, they became fools." This is strong language, and "design theorists" might recoil from using it, especially concerning their own academic colleagues, but it was God who said it! And intellectual fools are not won by intellectual arguments; if they are changed at all, it will be through some traumatic experience brought about by the Holy Spirit in answer to prayer. Such Scriptures are speaking of those who are atheists "in their hearts." Like Asimov (and Dawkins, et al. ), they are "emotional" atheists who have tried to ignore or subvert the real evidence with the pseudo-science of evolutionary speculation. There are, on the other hand, many "reluctant atheists"—those who have been so influenced by the doctrinaire atheists among their teachers and other intellectuals, that they feel they cannot believe in the God of the Bible even though, in their hearts, they would like to believe. People like this can be reached by sound evidence and reasoning. In our debates, for example, we know from many personal testimonies that a good number of students and young professionals in the audiences who had felt they had no choice but atheistic evolutionism, have indeed been won to solid creationism and soon to saving faith in Christ, at least in part by the scientific evidence. We hope this will be the experience of those who are now stressing "intelligent design," just as has often been true in the past. But it will not be so if they stop with just the evidence for design and leave the Designer—the God of the Bible—out of it. 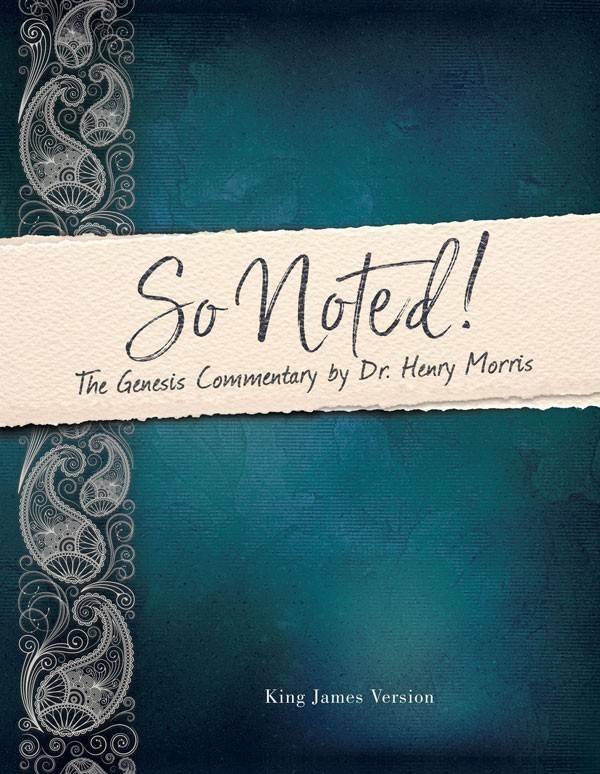 Even though we intentionally limit our debates (and some of our books) to the scientific evidence, everyone in the audience and among our readers is well aware that we are really undergirding Biblical creationism (including recent Creation and the global Flood), because that is our clearly stated position. Now that may be all right as a temporary agreed-on constraint for a particular discussion—as in one of our scientific debates. But that cannot be the goal, and we need to be honest about this if we really believe the Bible to be the word of God. The innumerable evidences of intelligent design in nature really do not point to theistic evolution or dissipative structures or Gaia, but if we stop our program without arriving at the true God of the Bible as the Creator of all things, then many converts to "design" will gravitate to one of these other beliefs and never come to know Jesus Christ as their Savior. As faith without works is dead, so is design without the Designer! 1 Eugenie C. Scott, "Creationists and the Pope's Statement," Quarterly Review of Biology (vol. 72, December 1997), p. 403. 3 Nancy Pearcey, "Debunking Darwin," World (vol. 11, March 1, 1997), p. 14. 4 The most recent of these is Science and Creation, Volume II in The Modern Creation Trilogy, by Henry M. Morris and John D. Morris (Green Forest, Arkansas: Master Books, 1996), 343 pp. 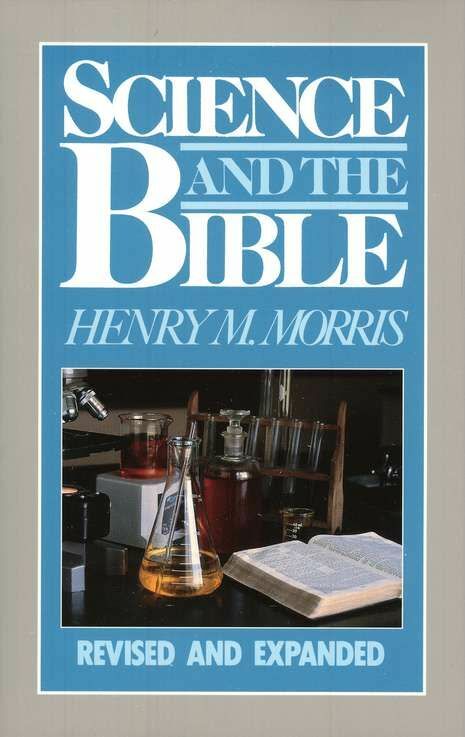 5 For documented evidence of the age-long, worldwide dominance of evolutionism, see The Long War Against God, by Henry M. Morris (Grand Rapids: Baker Book House, 1989), 344 pp. 6 Charles Darwin, Autobiography. Edited by Nora Barlow (New York: Norton, 1969), p. 87. 7 Richard Dawkins, "Obscurantism to the Rescue," Quarterly Review of Biology (vol. 72, December 1997), p. 399. 8 Ever since the publication of Pope John Paul II's October 1996 message on evolution, there has been controversy over what he actually said. The actual official English translation of his speech appeared in the October 30 edition of L'Osservatore Romano, and it does indeed affirm that he said that "the theory of evolution is more than a hypothesis" (Catholic News Service, November 19, 1996). He also spoke of "several theories of evolution," but by this he was referring mainly to the "materialist, reductionist, and spiritualist interpretations." 9 See my article, "Can Order Come Out of Chaos?" "Back to Genesis" No. 102, ICR Acts & Facts, June 1997, 4 pp. 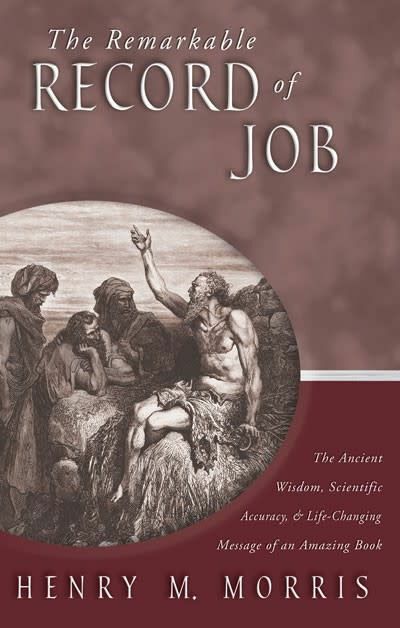 10 Isaac Asimov, Interview by Paul Kurtz: "An Interview with Isaac Asimov on Science and the Bible," Free Inquiry (vol. 2, Spring 1982), p. 9. 11 Phillip E. Johnson, "Separating Materialist Philosophy from Science," The Real Issue (vol. 15, November/December 1996). The "Mere Creation" conference involved over a hundred participants, practically all of whom were either theistic evolutionists or progressive creationists. According to Eugenie Scott, "most of them have appointments at secular institutions" (op cit., p. 403). 12 Laurie Goodstein, "New Light for Creationism," New York Times, December 21, 1997. Cite this article: Henry M. Morris, Ph.D. 1998. Neocreationism. Acts & Facts. 27 (2).